Shipment within 3-4 Business Weeks from Payment Date. Back-Order is Due-to-Worldwide Demand! Place your Deposit or Pay-In-Full securely below or at the bottom of the page to secure your SP™ before they ARE ALL GONE. We are striving to find more parts to not change the circuit prized by players worldwide for well over a decade! Don’t miss out on the world’s most tone prized and versatile vintage EP3 preamp! Shipment within 3-4 Business Weeks from Payment Date. Back-Order is Due-to-Worldwide Demand! We are diligently working to lower the back-order building and shipping daily! 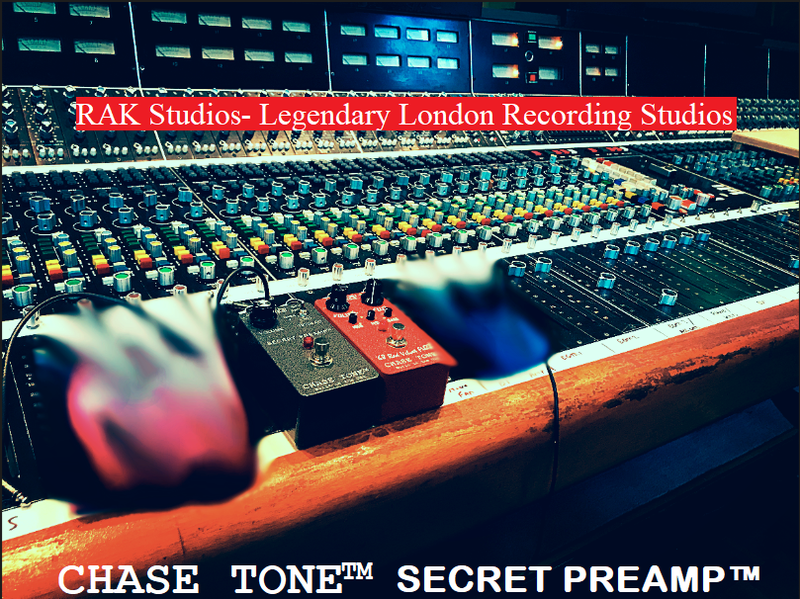 The CHASE TONE™ SECRET PREAMP™ is Legendary. [2017 and later] The SECRET PREAMP™ is BACK in a New Cool 70s Retro ROADSTER™ Box! Pedal Board Friendly! GET ONE WHILE YOU CAN! Hi Kyle Thanks so much. I’ve been working with the SP in stolen moments. I’ve got it post compression & fuzz, as you mention in the instructions. Sounds huge & it is going to stay on. Listen to how the SECRET PREAMP™ TRANSFORMS a cheap $39 fizzy, buzzy distortion pedal into a prized BIG 3D TONE. No wonder the greats had this in their arsenal. 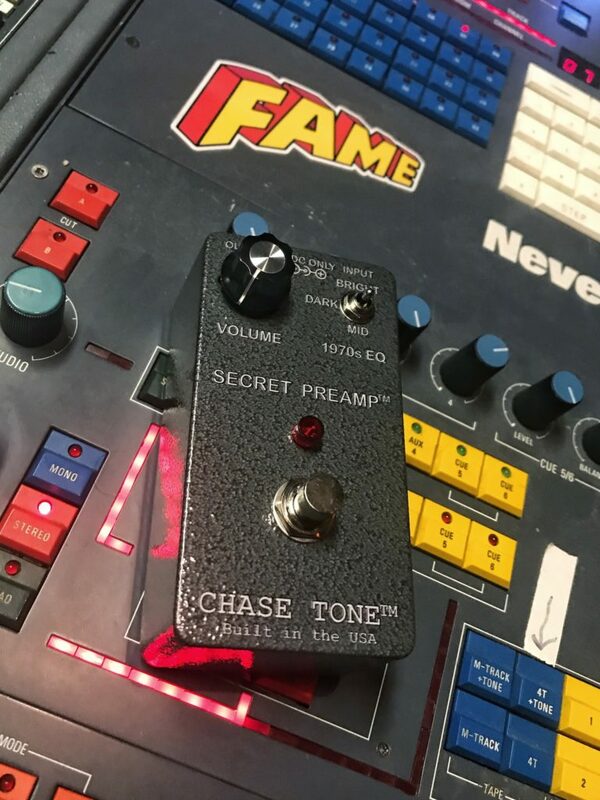 Only the CHASE TONE™ SECRET PREAMP™ delivers the goods. Listen to how a DELAY pedal can multiply that ‘BIG 3D TONE’ of the SECRET PREAMP™ instead of echoing and repeating a cheap, buzzy inferior tone. THE ORIGINAL 3D Tone Enhanced and Vintage Boost Pedal. ONLY FROM CHASE TONE™! New Cool 70s Retro ROADSTER™ Box Style with Rear Mount Jacks takes half the pedal board space in comparison to our previous side jack bigger box versions. A little history… In the 1960s and 1970s, Echoplex tape echo delay units evolved from tube based designs into solid-state designs. Notably, the EP3 model was a solid-state model and had a few variations and revisions to the circuit. 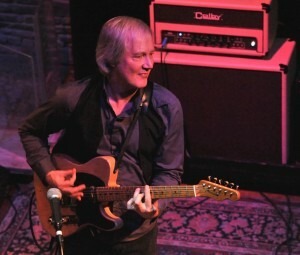 A select number of EP-3 models are highly sought after by musicians for their unique musical tone. Famous musicians of the era and later realized having the EP-3 in their signal altered their tone, even when the echo was bypassed. 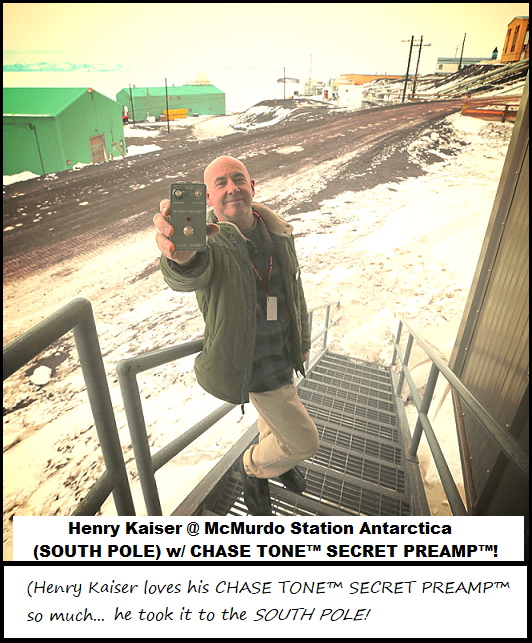 An internal secret preamp was at work here, boosting and fattening the signal, along with a slight phase shift that alters mid and high frequency harmonic content providing a transparent warm boost – a truly secret preamp boost in the arsenal of the great guitarists of yesteryear! But not all vintage EP-3s boosted, some dropped in signal due to the wrong TIS58 JFETs, and some were mediocre in tone being a different circuit revision. So, over a decade ago I did something about it! 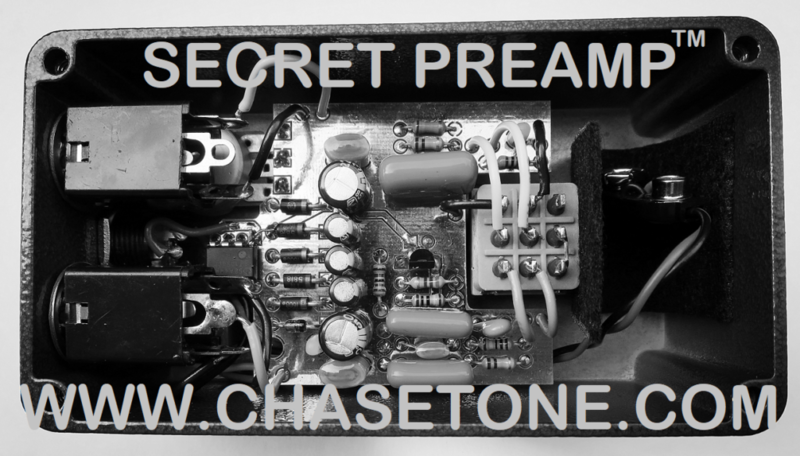 The Chase Tone Secret Preamp™ Effects Pedal uses fine-tuned circuit components to ensure proper results. It is currently the only authentic replica of the most sought-after, musically transparent signal-boosting Echoplex units. Applications: The SP™ is BEST placed LAST in the signal chain. The Secret Preamp™ provides a slight boost to a tube amplifier and you’re in complete control of the EQ for different rigs and rooms! 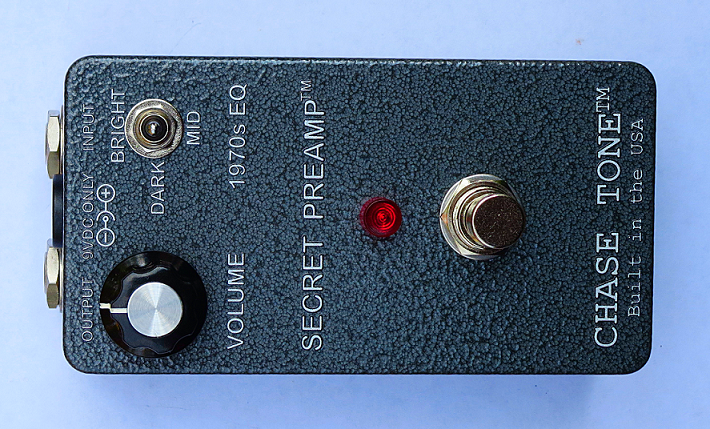 The Secret Preamp™ can be used as 3D Tone Enhanced Bypass for overloaded true bypass pedal boards. (The industry standard of buffering can ruin the dynamics and feel and sound shrill.) The Secret Preamp™ IMPROVES tone and signal response over just plugging in a single guitar cable to your amplifier. 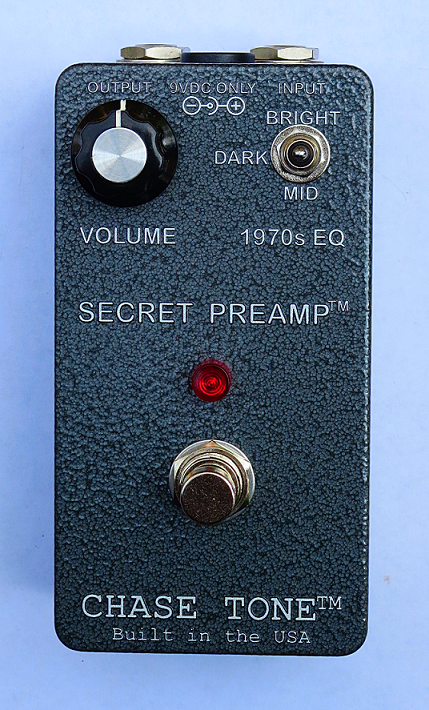 Customers love placing the Secret Preamp™ before or after [experiment] an analog delay pedal to bring vintage Echoplex tone to the signal-no need to lug that big and often unreliable/noisy Echoplex around just to have it alter the tone! I prefer the up position and the beautiful way that it just enhances everything. Brilliant job. I will definitely be considering some of your other products in the near future. All the best, Martin. Above: Pure, Sweet BIG 3D Vintage TONE combining the CHASE TONE™ SECRET PREAMP™ with the CHASE TONE™ ’68 Red Velvet FUZZ™! AUTOMATIC Vintage EP3 22V+ POWER! 150mA 9VDC Power Requirement. If you are using a daisy-chained power supply, please make sure you are only using 9VDC standard polarity and there’s at least 150mA to 200mA current available for the SP™. VOLUME CONTROL- Wired just like an original EP3 for Amazing Versatility! Chase Tone™ Exclusive 3-Way EQ 1970s Era EP3 Mini-Toggle Switch! Vintage 1970s JFET cherry picked to cream-of-the-crop specs. New production, Accurate Vintage Spec, Aged Carbon Film Resistors capture the aged tonal qualities of carbon with the consistency and lower noise of film. The SECRET PREAMP™ got to me here in Western Australia quickly [ with free shipping]. It immediately found a home in front of my amp, recording chain and basically anywhere I play electric guitar applying harmonic and level changes to whatever you play through it. It comes alive at gig volume where it helps your guitar sit just perfectly in the stage mix. High quality 1970s style aluminum enclosure: 4” Long x 2.4” Wide x 1.5” High. Fits in the palm of your hand. REAR MOUNT JACKS = FIT ON VIRTUALLY ANY PEDAL BOARD! High Quality Switchcraft are Hand-wired for Ultimate On-The-Road Reliability. Hello Kyle, I got the Secret Preamp™ today and used it at rehearsal. In an A/B it’s very close! You’re the only one and I’ll let people know you got this so close without ever hearing my Echoplex. So far this is the closest. Good ears!! -Jim Weider. Update: I’ve been using it on all shows, just leave it on all the time! Limited Stock Available. Place your order to secure your SP™ before they are all gone. We are striving to find more parts to not change the circuit prized by players worldwide for well over a decade! DUE-TO-WORLDWIDE-DEMAND- GET ONE WHILE YOU CAN! THE ORIGINAL ‘3D Tone Enhanced’ Boost Pedal. ONLY FROM CHASE TONE™! I got the Secret preamp yesterday, amazing tone man! You really nailed it. Awesome pedal and seller, great communication, thank you !! !Absolutely perfect ! Thanks a lot from France ! Groovy seller, far-out pedals, highly recommended. Thanks Man! it’s absolutely KILLER. It went right on my main session board. Another magical creation from Chase Tone. Perfect. A+Awesome pedal! True to his word!!! A+++++Chase Tone + Electronic Components = Art Thanks again! A+ Seller!! Awesome Tonal Enhancer For Me!! Item better than described, super fast shipping! Amazing pedal- thank youwhat a great pedal! thanx-a-zillion, this is the problem-solver for any ep3-user! Amazing pedal, Amazing tone!! Great comm and service. Lightning fast shipping!! “Wow I just played your ep3 boost pedal and it’s amazing! I forgot about time and just kept playing and playing it.My pedals sound dead now without it. It had this really amazing harmonic thing going on. I’m so glad I bought this one and again thanks! This pedal is the missing link! You have to own this! The tone blew me away! Top seller! “Outstanding pedal. Like the EP-3. Highly recommended seller !!!! Thanks.Excellent eBay Purchase – Product exactly as described and super fast delivery! Great Seller, friendly and trustworthy, product exceeded my expectations!